Tokyo Ghoul: re Vol. 7 Review – AiPT! Woah, things are starting to get interesting in this story. We are still following the revelations that Haise is having regarding his previous life. The way that this dark spirit is eating him up is really scary. It seems like Kaneki is back and isn’t leaving any time soon. This is making it even more difficult to keep with what is really going on. The manga goes back and forth and you don’t really know who is who. As the story is developing, it’s focusing on the Aeori Tree trying to liberate all the ghouls from their cells as well as rescuing an important figure. We see how this person affects Haise/Kaneki as well, as he betrays the CCG and begins to free all the ghouls that are being held in jail. Which brings us to the question: have Haise and Kaneki become one again or is Kaneki in control of Haise’s body once more? This is a very vital point in the story, as Haise had been loyal to the CCG and to his mentor/rival Kisho Arima until now. We know that many events led us to this point, but I’m not entirely sure what actually triggered his betrayal. We see his internal conflict with doing the right thing on both ends, from his loyalty with his new family in the CCG to helping his old ghoul family. Either way, one characteristic that never fails to show is his protectiveness over the people he loves. The illustrations are becoming more graphic and gory in this series. We see bloodshed everywhere in this new volume. Although every fight is important, I wish we had a volume where events were explained somewhat. As I’ve stated before in previous reviews, I believe that though the battles have significance that will lead to the ultimate showdown, there may still be too many. 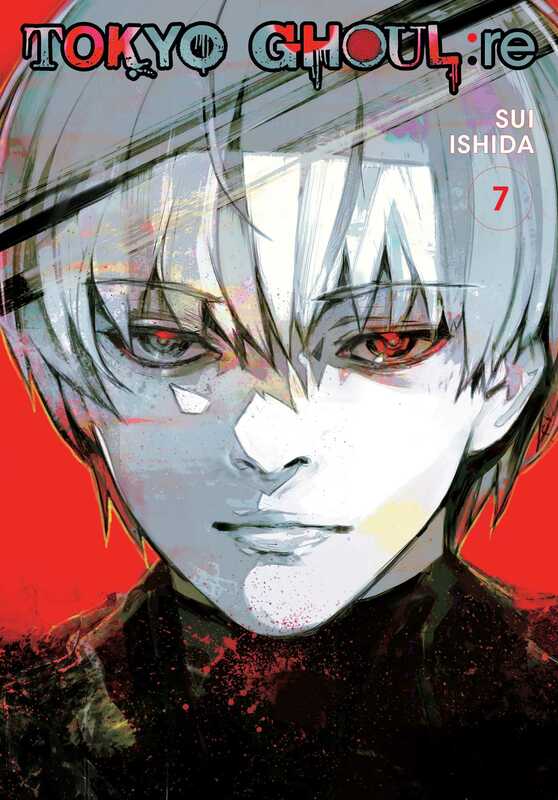 Tokyo Ghoul: re is a manga that depicts the darkness that the world has overall and within its people, but I feel that if we continue to have battles in every volume then we might lose that importance that they envelop. Overall, I feel like this volume had more to cover than it did and we should expect more going forward now that Kaneki’s memory is coming back. There is an important encounter that I feel is necessary and may be the only pivotal part of the battle with Haise/Kaneki and Kisho Arima. I’m not entirely sure if Haise remembers the previous fight with Kisho, which is very confusing. I really needed more developed context regarding the status of Haise’s mind rather than another battle. This volume didn’t fail me entirely but it does have some loose ends. This volume continues developing a dark plot twist and ensures great entertainment. Too many battles? Do we really need more blood? Who is the One-Eyed Owl? !